After more than 4 years and countless hours building up a community on Lao Food, our page had over 200K likes in the morning of April 14, 2014. Our posts on Songkran were gaining likes by the thousands. It was an atmosphere of positive engagements among the fans of Lao Food, wishing Happy New to one another, commenting, and sharing photos and videos of the Songkran festivity across the Lao and Thai Facebook communities. 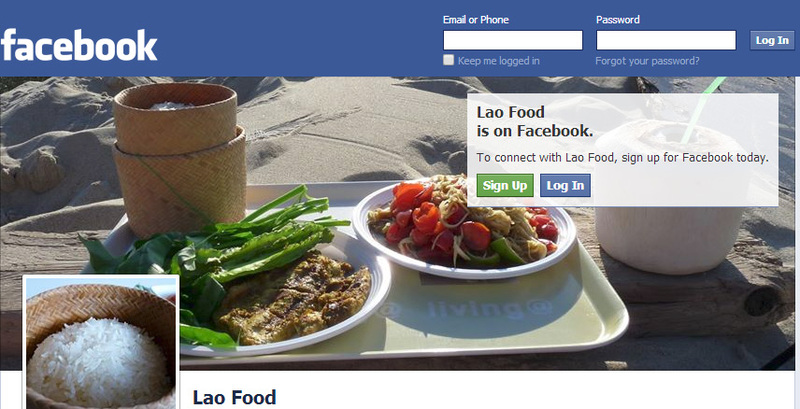 The festive atmosphere ended when Facebook decided to shut Lao Food Page down without notice at 5:48 PM (Amsterdam time). We appealed to Facebook, using the “appeal button” and urged our fans and subscribers to “Please, kindly explain to Facebook that the Lao Food page http://www.facebook.com/laofood was unpublished in error and should be republished again” a few days ago. For those of you that are on Facebook, you can find us again at https://www.facebook.com/laofood.